Sweeeeet, sweet mural at Grassroots Modern. Time-lapse videos are crazy amazing. This artist is crazy amazing. This idea was crazy amazing. I wonder if I know any crazy amazing artists who would be willing to do this if/when we have a house. 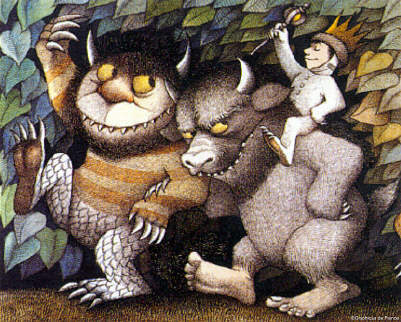 Then again, what about putting larger-than-life monsters on a kid's wall? Am I the only one concerned about creating a problem?